Many SPEC RESCUE trainers have come from firefighting backgrounds. These technician level experts have real experience fighting fires in all kinds of environments: marine vessels, aircraft, urban locations, forest & wildfire and many other unique situations. These instructors follow the NFPA and OSHA guidelines, adding real-life case studies, tips and anecdotes for a complete view of the essential skills required for today's advanced firefighters. A fire aboard a marine vessel is life threatening and requires specific skills and training to manage. 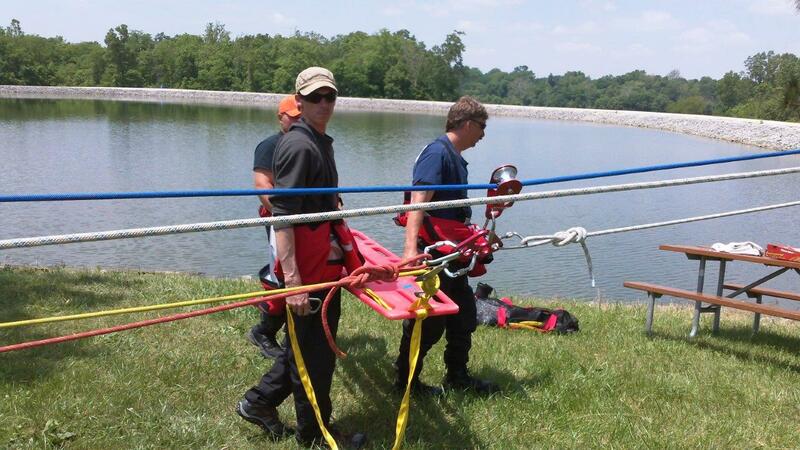 SPEC RESCUE provides training for these incidents at a variety of levels. These courses are always customized to the environment and can be designed to address specific local, regional or national requirements. Please contact us for more information about our shipboard firefighting instructors and training capabilities. This course requires mainly classroom time and the ability to gain access to local Port facilities to conduct vessel tours. At the completion of this course, students will have understanding of the role of local, state and federal agencies, their own duties and responsibilities and the maritime Incident Response Team Concept. Specific topics include vessel construction, vessel hazards, the incident command system, marine fire fighting tactics, tug and barge operations, pleasure boat and marina fires, vessel tours. Duration: 1 day (8 hours) Type: Lecture. This course includes the above listed topics for Awareness Level, but also includes practical exercises aboard a vessel, including fire response and mitigation aboard a vessel. These high level courses are customized for organizations and will require access to a vessel, fire department apparatus, personnel protective equipment and access to communication with local, regional and national agencies. These courses will require advance instructor travel and meetings to develop and arrange for all resources necessary to conduct the evolution. We will work with organizations to develop a course that meets and exceeds local standards and requirements. Many hands on activities, case studies and group work. PPE and other specialty equipment required. Course requires 3 days (24 hours) and student to instructor ratio of 15:1. Additional high-level courses can be customized for organizations and will require cooperation and communication with local, regional and national agencies. These courses will require advance instructor travel and meetings to develop and arrange for all resources necessary to conduct the training. We will work with organizations to develop a course that meets all goals. Duration and type to be developed with organization and trainers. Spec Rescue will work with you to design the ultimate aircraft firefighting curriculum for your team. Standards and Requirements: Federal Aviation Requirement Part 139, National Fire Protection Agency7, Department of Defense Instruction 6055.6, Department of Defense 6055.6M. Developed in compliance with NFPA 1003. This course is designed to provide emergency personnel who are primarily responsible for Airport/Aircraft Fire Protection and Rescue with a basic understanding of how to safely handle aircraft incidents emergencies. Students will receive classroom instruction plus extensive field training. Topics include airport familiarization, fire behavior, safety, aircraft identification (civilian & military, fixed & rotary wing), fuel and hydraulic systems identification and operations, fire alarm and communications, mass casualty and basic tactics. This course is offered with or without the live fire evolution. This final day meets the regulations of the FAA Part 139 for live fire training for aircraft rescue and firefighting personnel. Students will be provided with simulated interior and exterior firefighting opportunities as well as fuel spill scenarios. This class is for indexed on non-indexed airports. Many hands on activities, case studies and group work. PPE and other specialty equipment may be required. Course requires 5 days (40 hours). Additional subjects can be custom tailored for your organization as they pertain to your needs and area of responsibility. Other subjects include ARFF Driver/Operator, Officer, Aircraft Incident Management for Structural Departments/Fire Brigades; Airport Incident Command; Managing Mass Casualties; Hazardous Materials for Aircraft Emergencies, Confined Space Entry and Rescue for Aircraft Emergencies and structural fire fighters response for airport incidents. Fire ground operations always have the potential to entrap, engulf, or overcome emergency responders. The Firefighter Down program is required for personnel who may face a catastrophic fire ground event. This essential course will provide information and skills necessary to initiate effective rescue missions involving "trapped" or "lost" members of a fire ground team. Case studies, skill training, and personnel accountability systems are presented in a team development atmosphere with the goal of having Students become valuable and effective members of a rescue team should the need arise.This program requires Students to have a basic knowledge of fire ground operations and proficiency in the use of Self Contained Breathing Apparatus (SCBA). Full turn out gear is required, to include a SCBA w/spare air bottle and Personal Alarm System (PAS) device. This is a very intensive program and requires a high degree of physical fitness.Many hands on activities, case studies and group work. PPE and other specialty equipment required. Course requires 2 days (16 hours) and student to instructor ratio of 10:1. 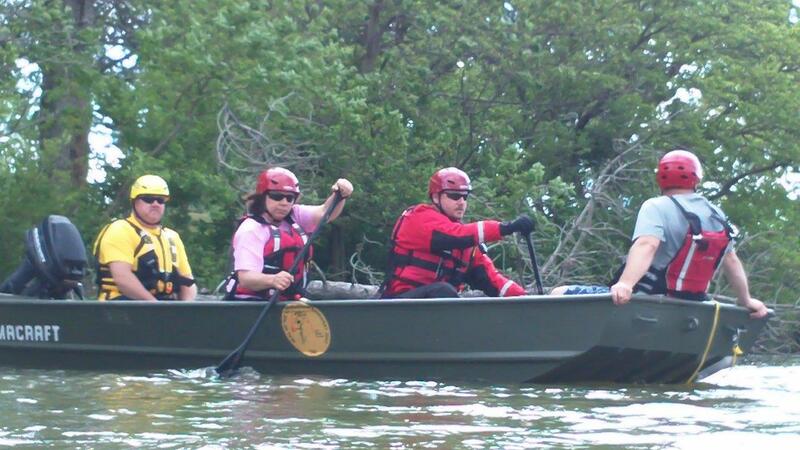 Rapid Intervention Teams provide dedicated rescue personnel to the Incident Commander (IC) in the event of a rescue in an immediately dangerous to life and health (IDLH) environment. The IC evaluates each incident based upon a risk/benefit analysis and assembles a Rapid Intervention Team (RIT) as needed.The RIT's sole purpose is to locate and rescue trapped or missing firefighters. This course focuses on development and implementation of a RIT for all hazards that the fire service may encounter.This course includes both classroom and practical evolutions. At the conclusion of this course Students shall be able to develop a written RIT policy to supplement their current incident command policy, perform practical RIT operations, understand or use thermal imaging equipment in support of RIT and perform extraction of injured or trapped firefighters from below grade and above grade areas.Duration: 1 Day (8 Hours) Type: Hands on. Student / Instructor Ratio: 10:1.